First, I thought this was supposed to talk about the meaning of the lyrics, not serve as a fan poster board. But as far as this song is concerned, it almost feels precognitive. I don't think that's possible, because I don't think she intended to kill herself. But the fact that she was aware of the 27 club might have been subconsciously on her mind when she wrote these lyrics. No one will ever know. Just like I don't believe Jim Morrison or his girl friend really died and were buried in Paris. I don't believe in coincidences, and there were too many involved in their "deaths and burials", both in closed coffins so no one ever saw their bodies. Just pointing out how far you can take conspiracy theories. 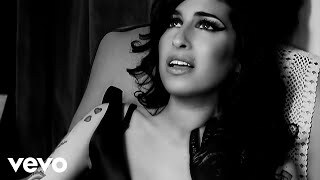 As for Amy Winehouse, I do think there seems to be a strange correlation with her kind of talent and addiction and mental illness. It's very sad, particularly because she actually had family who loved her and supported her. i love this song, one of my favorites!! and you're amazing and a truly talented artist, Amy Winehouse!! you're a legend!! RIP, Amy.. you will never be forgotten.. This song is wicked!!! I love it! !i don't care if she got into rehab and had drugs. This song is the bomb!!!! LOVE IT!!!! !